Community. He has served as director of religious education and youth ministry at St. Viator Parish in Chicago for 10 years, while also earning his master’s degree in counseling and now working on a doctorate. 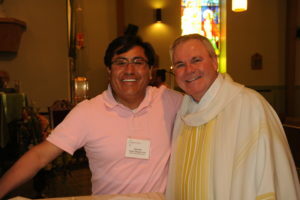 When he’s not at the parish, Hector serves as a professional counselor, as an adjunct professor at the University of St. Mary of the Lake seminary in Mundelein and he helps to organize retreats for the Archdiocese of Chicago. Hector is a native of Peru, and he often shares the story of how his commitment to living out his faith began as a child growing up in Peru, where a visiting missionary priest made a lasting impact on his life. 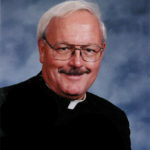 Yet it was working alongside of Viatorians at St. Viator Parish where he discerned his call to become a lay associate. 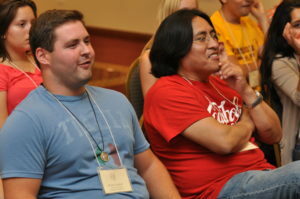 For the past several summers, Hector has accompanied teens from the parish to attend the Viatorian Youth Congress and learn more about the Viatorian charism. It has deepened his faith life and now he hopes to instill that life of service in the young people he serves.